Eighteen Saudi citizens have been detained in connection with the murder of Washington Post columnist Jamal Khashoggi, according to Saudi Arabia's state-run news agency. Khashoggi disappeared after he entered the Saudi consulate in Istanbul on Oct. 2. An initial investigation has revealed that discussions between Khashoggi and the individuals who met with him at the consulate led to an argument and a fist fight -- which resulted in the journalist's death -- Saudi Arabia's public prosecutor said in a statement, according to the Saudi Press Agency. Investigators are working to hold those involved with Khashoggi's death responsible, according to the statement. Turkish officials have claimed that a group of 15 Saudi men flew to Istanbul at the time of Khashoggi's disappearance. At least one of the suspects traveled to Istanbul for the purpose of meeting with Khashoggi, according to the statement from the Saudi Press Agency. The suspects then attempted to "conceal and cover" what happened, the statement read. Khashoggi, an opinion columnist for The Washington Post, has written critically of Crown Prince of Saudi Arabia Mohammed bin Salman and the Saudi government. The White House acknowledged the Saudis' announcement, stating that it would "continue to closely follow the international investigations into this tragic incident and advocate for justice that is timely, transparent, and in accordance with all due process. "We are saddened to hear confirmation of Mr. Khashoggi’s death, and we offer our deepest condolences to his family, fiancée, and friends," White House Press Secretary Sarah Sanders said in the statement. President Donald Trump talks to the media about Jamal Khashoggi before boarding Air Force One on Oct. 18, 2018, in Andrews Air Force Base, Md. 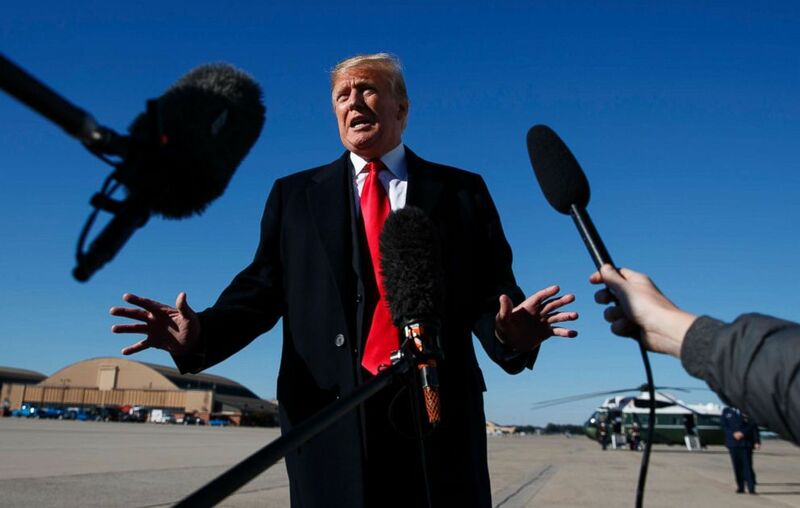 Earlier this week, President Donald Trump cautioned against blaming Saudi Arabia for Khashoggi's disappearance but told reporters Thursday that "it certainly looks like" he was dead. Saudi Arabia had denied news reports that Khashoggi was killed inside the consulate, but pressure has been building on the Saudi government more than two weeks to explain what happened to him after he entered the consulate earlier this month. On Friday evening, Republican Senator Lindsey Graham – a key ally of President Donald Trump – posted a tweet registering his skepticism of the Saudi government’s latest account of what happened to Khashoggi. Khashoggi had warned of renewed efforts to silence free press in the Middle East, and his final column, titled, "What the Arab world needs most is free expression," was published on Wednesday. ABC News' Rym Momtaz and Ian Pannell contributed to this report.